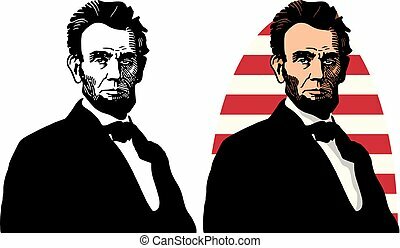 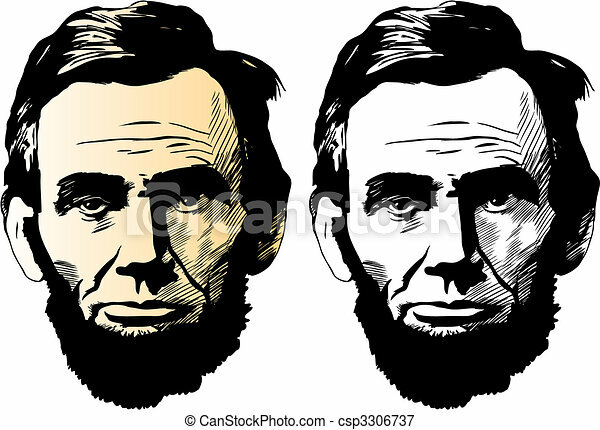 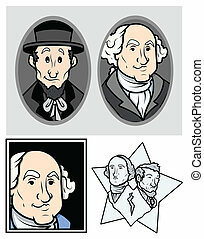 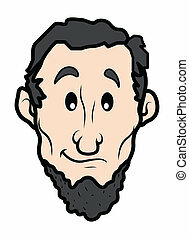 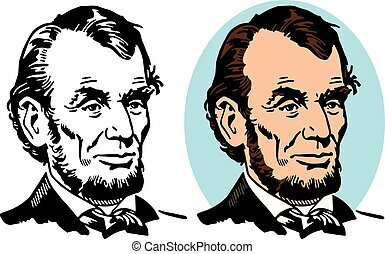 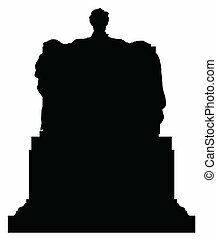 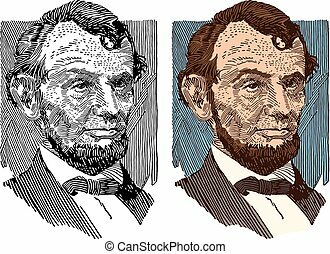 Vector portrait of abraham lincoln, 16th president of the united states. 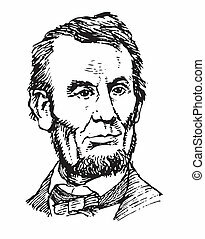 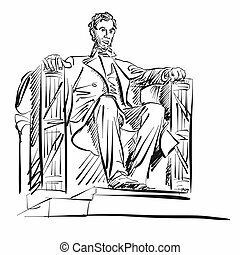 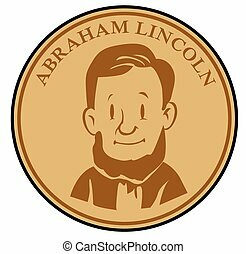 A portrait of the sixteenth president of the United States, Abraham Lincoln. 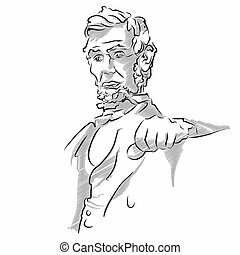 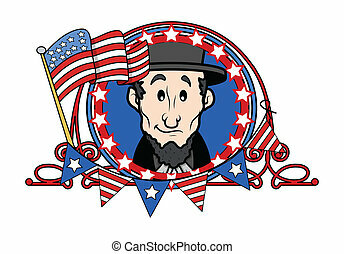 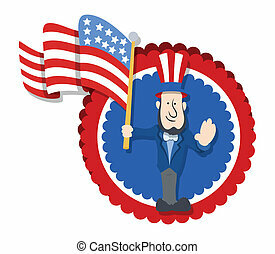 A cartoon version of Abraham Lincoln with his arms out presenting something.